A facelift is the most comprehensive approach to treating facial wrinkles and sagging caused by aging. The surgery varies in range from minimally invasive ‘lunchtime lifts’ to more extensive, sophisticated surgery. A facelift removes excess skin, tightens underlying tissues and muscle and redrapes skin on the face and neck. It can correct midface sagging, marionette lines, jowls and a double chin, maintaining its reputation as the ‘gold standard’ for facial rejuvenation. Every year, thousands of people undergo successful facelift surgery and are pleased with the results. • One day you look in the mirror and realize that time, gravity, sun exposure and heredity have taken a toll and you simply do not look like yourself any more. A facelift is the most comprehensive approach to treating facial wrinkles and sagging caused by aging. The surgery varies in the range from minimally invasive ‘lunchtime lifts’ to more extensive, sophisticated surgery. A facelift removes excess skin, tightens underlying tissues and muscle and redrapes skin on the face and neck. It can correct midface sagging, marionette lines, jowls and a double chin, maintaining its reputation as the ‘gold standard’ for facial rejuvenation. Every year, thousands of people undergo successful facelift surgery and are pleased with the results. If you feel that your face does not reflect your youthful spirit and energy level. If you determine that your facial sagging and excess skin is a social or career obstacle. If you show signs of facial aging but still have some skin elasticity. A facelift can deliver exceptional outcomes. In any case, the strategy just focuses on specific parts of the face to be specific, the mid-confront, bring down face and jaw line. You may locate that different ranges of your face require consideration or rather than those regions that can be tended to facelift. In this situation, your specialist may prescribe extra or option methods. If you are interested in experiencing a facelift surgery, your initial step is to learn as much as you can about the technique and alternatives. Next, plan a consultation with a plastic surgeon specialist Dr. Luis Redondo, he will examine your facial skin, inspect your facial skin, tissue and bone structure, and ask about your objectives for surgery like fully evaluate facelift cost and make sure you have taken everything into account, including postoperative bandages and medications. 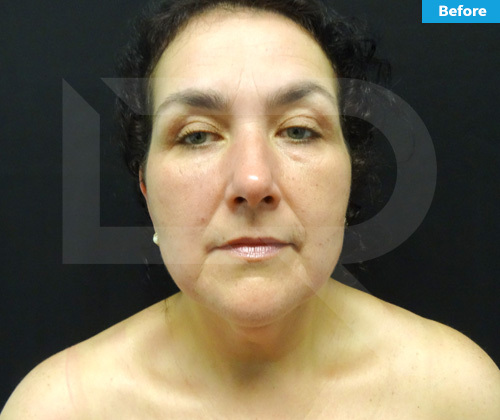 Every situation is unique, but generally Facelift surgery is about 4-5 hours long. About 10 days depending on the level of activity required by the job. Patients may experience temporary bruising, swelling, and soreness of the ears. Patients may resume exercising in 2-4 weeks.